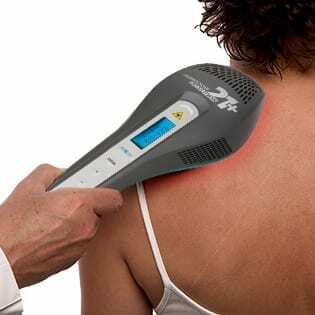 Laser treatments. Now also with FI Autorun for the best possible ease of use. This laser model thus achieves one of the highest power densities of all low-level laser units on a treatment area that is still 55 cm² large. Moreover, the housing of the laser shower PowerTwin 21+ has been redesigned: cooling the high-performance laser diodes with fans and cooling fins ensures efficient treatment. As a result, therapy time can be significantly reduced, and the laser light can penetrate deeper into the tissue to be treated! With a simple click, the laser shower can be converted into a laser comb within a few seconds – and without supply line losses. This way, even very hairy skin can be treated without any problems. 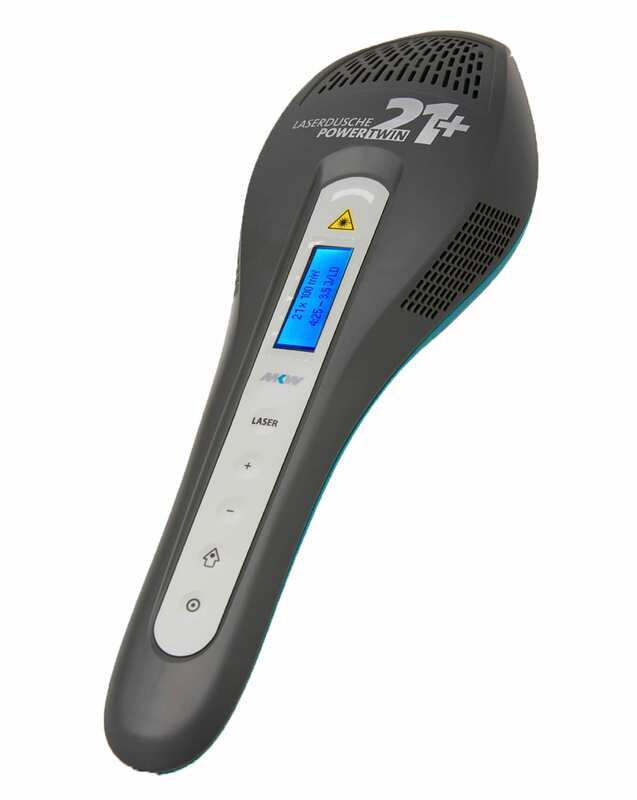 The laser shower PowerTwin 21+ can be set individually for special applications. Treatment dose, mode of operation as well as therapy time are shown on the colour display. In addition to the CW (continuous wave) mode of operation and the tried-and-tested multi-frequency spectrum, other frequency programmes (such as Nogier, Bahr, chakra, and Reininger frequencies) are already preset. Additional frequencies may be freely chosen and programmed using 20 memory locations.